Less than a year ago, Aron of Darien risked his life to deliver Nandor from its enemies. Now a new peril threatens; Lady Celaine is abducted and the bonds of friendship and honour demand Aron returns once again serve the Earl of Nandor. The road to rescue leads them to the infamous city of Keshan and, beyond to a war zone where they face a barbarian horde. For Aron the stakes are higher than ever as he faces demons and traitors and a decision that will change his life. 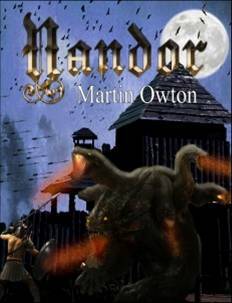 Nandor is the sequel to Martin Owton’s first novel Exile, published in November 2016 from Tickety Boo Press. At the upcoming Fantasycon 2016, T-party members Gary Couzens will be taking part in the Midnight Street (Friday) and Alchemy Press (Saturday) book launches, Laura Mauro will be part of the Great British Horror book launch on Saturday, Joanna Horrocks is a part of the Lost In Hollywood panel on screenwriting on Sunday, Rosanne Rabinowitz is on the panel of Out of the Woods as well as the launch of Alchemy Press and will be doing a reading (along with Jan Edwards) at 2 pm on Saturday, and Sara Townsend will be on the Paint it Black panel on Saturday. She will also be giving a reading at 3 pm on Saturday (with Priya Sharma). Finally, Richard Webb is moderating a panel titled This Used To Be the Future on Saturday, focusing on historic settings for SFF. Fossil Lake IV: Sharkasaurus. Congratulations, Gary! I can’t think of anything else to say really this is a thoroughly enjoyable read and has been compared by many to Gemmell, a statement I would echo. To wrap up I would definitely endorse this book and suggest it to anyone looking for a nice manageable slice of Grimdark that is well worth picking up. Sequels are as far as I know in the works and I can’t wait to get my teeth into them, well done Martin. Treat yourself ladies and gents it’s a bloody good read. I was very happy to take on this novel and it’s sequel for Phantasia, it’s good , solid fantasy that reminded me of David Gemmell at times. ‘Exile’ is the second book published by Phantasia and will be available later in March. Not with a short story sale, but in his new appointment as DVD/Blu Ray reviewer, taking over from Tony Lee from issue 51 onwards. Gary also reviews films for The Digital Fix. S.J. Rosenstein’s short story ‘Claimed’ has been published online in Nature science journal, and will be appearing in the print edition next week. It’s a first sale for S.J. – an exciting start. 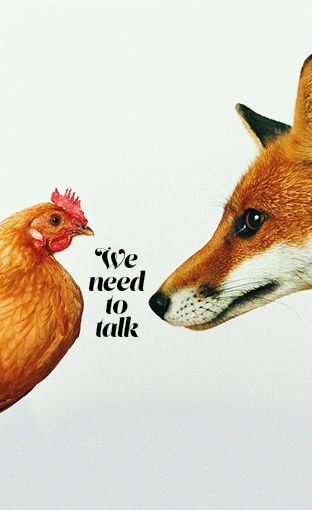 Rosanne Rabinowitz has a short story appearing in ‘We Need To Talk‘, an anthology in support of The Eve Appeal – a charity dedicated to funding research and support for gynaecological cancers. The anthology is available in both ebook and paperback format.